A medical student on your team asks you to review an 81 year-old female who speaks little English. She was BIBA to the ED following a fall. Her nursing home transfer sheet says that the fall was witnessed: she tripped and there was no loss of consciousness. The student is concerned that the patient’s right pupil is fixed and slightly dilated in the presence of facial abrasions. Facial views have been ordered. Q1. What is the abnormality? Ever wondered how an eye prosthesis is made? Anisocoria simply means that there is inequality in the size of the pupils. Q3. What are the possible causes of anisocoria? Actually there is a third option: normal physiological anisocoria. The causes of small pupils (miosis) are considered in Neurological Mind-boggler 002. Q4. 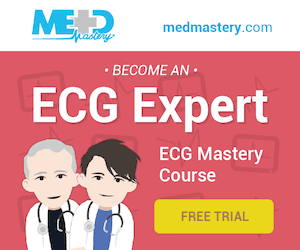 What are the causes of a fixed dilated pupil in a conscious patient? Pharmacologic blockade is the most common cause of a fixed dilated pupil in an otherwise normal healthy patient. 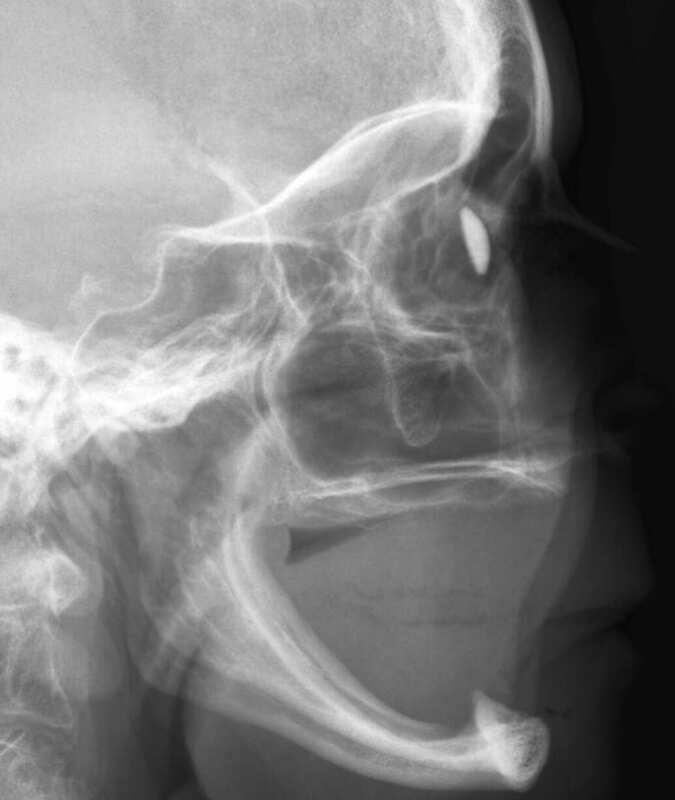 A fixed dilated pupil in an awake patient is NOT due to herniation. Pharmacological blockade: typically topical mydriatic drugs used to facilitate ophthalomological examinations. parasympathetic nerves are in the superficial parts of the nerve, so tend to be more vulnerable to compressive lesions and spared by vascular lesions (e.g. diabetes mellitus). If an acute third nerve palsy is accompanied by pupillary mydriasis an aneurysm arising from the posterior communicating artery must be excluded. 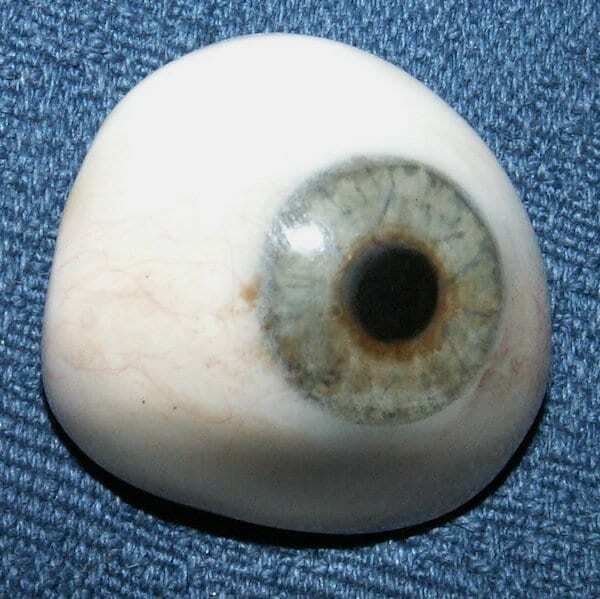 ocular prosthesis – the normal pupil may be relatively constricted due to ambient light. Q5. What is the abnormality? Q6. Describe the features of this abnormality. 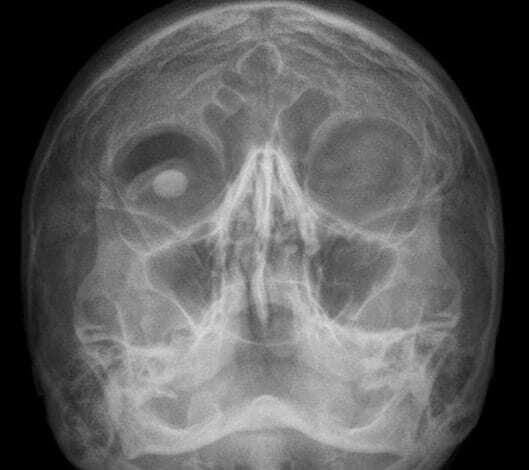 A Holmes-Adie pupil is a pupillary abnormality of uncertain etiology associated with postganglionic parasympathetic denervation. It is usually found in an otherwise healthy young woman. The acutely large pupil diminishes in size over months to years. It is sluggish or non-reactive to light and has a slow (tonic) near response. At the slit-lamp, slow vermiform contractions of the iris may be seen. The diagnosis may be clinched by demonstrating the presence of hypersensitivity to weak miotic eye drops (constriction with 0.05-0.1% pilocarpine eye drops) that have little effect on normal pupils. The attribution of this eponym has a fairly convoluted history — but is in part named for a brilliant Irishman renowned for his attention to detail and refusal to bend facts to fit a hypothesis — it has nothing to do with the fictional detective based (Smith, Bell and the art of observation). Bhidayasiri R, Waters MF, Giza CC. Neurological differential diagnosis: a prioritized approach, Blackwell Publishing 2005. Patten J. Neurological differential diagnosis (2nd edition), Springer-Verlag 1996.